Bill Gamack is CEO of EPIC Assist. Bill Gamack, Friday, 6th April 2018 - Employable Me is a real and raw depiction of the challenges associated with job hunting when you have a disability, writes EPIC Assist CEO Bill Gamack. Bill Gamack, Thursday, 5th April 2018 - EPIC Assist CEO Bill Gamack shares his learnings from Jon Faine’s controversial interview with Carly Findlay. Bill Gamack, Thursday, 28th September 2017 - Many people still believe if a disability isn’t visible it doesn’t exist, writes Bill Gamack, CEO of EPIC Assist, as he reflects on the fallout of the “Ashy Bines’ saga. Bill Gamack, Friday, 23rd June 2017 - Senator Pauline Hanson’s comments that children with disability should be removed from mainstream classrooms could have a damaging impact on how disability is viewed in Australia, writes EPIC Assist CEO Bill Gamack. 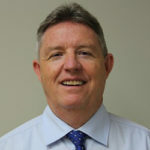 Bill Gamack, Tuesday, 28th March 2017 - People are screaming out for genuine interactions and longing to deal with providers that will walk the talk, writes Bill Gamack, CEO of disability employment not-for-profit EPIC Assist.